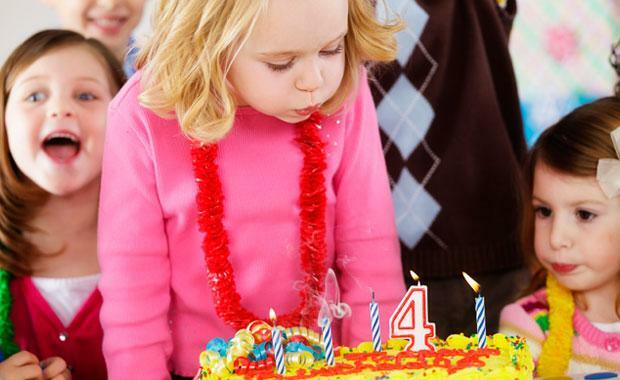 Have a birthday spa party with Moodylicious Children Spa Parties of Houston in your home. Our Candy Flavor signature “Face Frosting” cleansing mask and candy scented spa products are the perfect add on to any child’s birthday party. 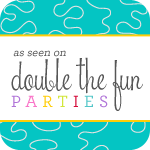 We handle the whole affair from a custom designed email invitation sent to you weeks before your party, to party supplies, to fun activities for all your guest. 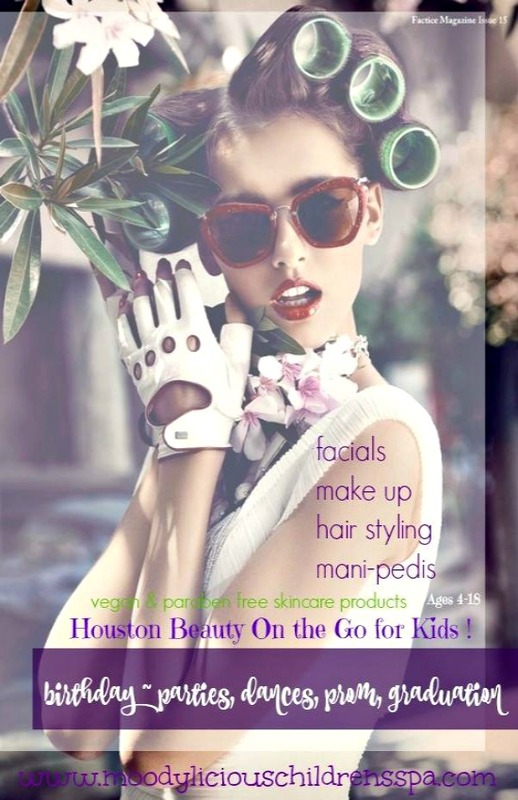 Little girls love “Mani-Pedi’s” so we make that the focus of our spa parties in Houston. They choose candy scented nail paint form our array of “Lollipop Vegan Nail Paint”, then choose rhinestones, press on nails or stickers to add on to their nail art. We offer complimentary add on’s..such as… Candy Making Jewelry , Party Favor Alphabet Beaded Bracelet or Necklace, Hair Style Bow & Ribbon Bar and for some interactive fun “Blind Fold Makeup Application & Face Frosting Mask” ..this really brings the giggles out… the girls are blind folded and do each other make up or put our candy scented face frosting on each other. Our parties are about 2-3 hours of pampering.. but your full birthday party with friends and families can last through the night with a slumber party . We suggest other activities to include for the girls to stay busy, karaoke( we found this one for $49), bingo, twister and dance off from your ipod music list. Pizza is the food of chose for most of the spa parties but adding your child’s favorite meal and a ice cream bar and custom birthday spa cake will make this a very special day. We have two spa party packages available, for the smaller parties up to eight girls we can create more of a spa experience with peppermint paddy foot baths and massage, mani-pedi sugar mask and massage, along with a facial massage and mask this spa package is $199. If your child has more friends and cousins we can accommodate up to 15 girls with our mobile spa party bar…meaning we focus more on the mani-pedi nail paint and everything else is set up on the table for the girls to dive in and keep themselves busy, this spa package is $99. Our spa party calendar is booking up fast for weekend birthday parties…so.. Call 1-832-566-0239 or email to set your spa birthday party date. 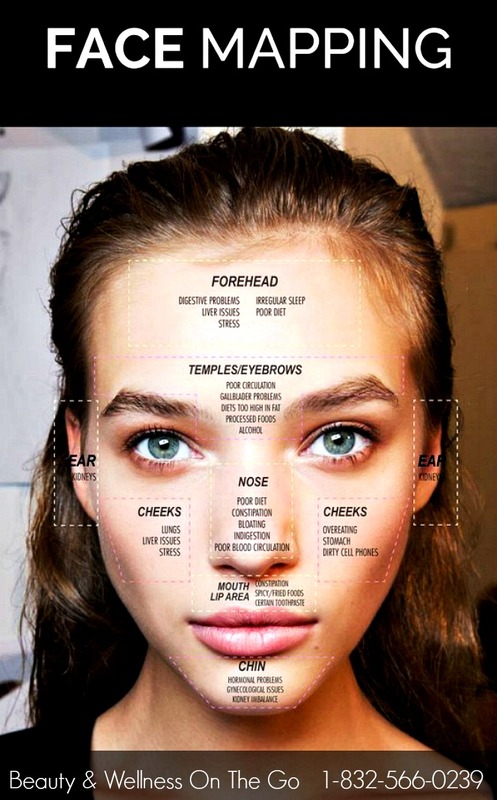 Face Mapping® to divide the facial landscape into fourteen zones. Each zone is examined to determine where conditions such as congestion, breakouts, dehydration, and/or hyperpigmentation are present. Ancient medical practitioners have used nuanced observational diagnoses to quickly narrow down symptoms to specific imbalances within the body and help prevent or correct future disease. “Face mapping,” an ancient practice rooted in Ayurvedic teaching, connects a point on your face to an organ or body part so you know what to treat internally for clear external results. It’s apparent to most that deep seated anxiety would cause your lovely face to wrinkle up, but understanding the line pattern can help you understand where you might be holding stress and which of your organs may consequently be most at risk. If you have a vertical line between your eyebrows on the right side, it indicates you’re repressing emotions — especially anger — in your liver. A line on the left side indicates that emotions are likely penned up in the spleen. Eyes can be particularly telling: Small irises point to joint problems and an increased whiteness in the iris can indicate that joints are in a degenerative state. A spotty iris can mean poor nutrient absorption in the intestine. If you observe a light ring around the iris, cut back on your sugar and salt intake as this indicates that you have an excess of both. A yellowish color in the eye can indicate a weak liver. Patchiness or discoloration on the cheeks can indicate poor metabolism and low absorption of nutrients, such as folic acid and iron. Additionally, cheeks are linked to lung function (think about how red your face gets during a strenuous workout that has you breathing hard), so pay attention to the quality of your breath and consider breathing exercises. Not based in Ayurveda, but it’s important to note that acne on the cheeks might be caused by a dirty cellphone and pillowcases, or a tendency to touch your face a lot. Make sure to keep your hands away from your face, and accessories and sheets clean. Because the cheeks and nose are governed by the Pitta dosha (the fire element), it’s no surprise that breakouts here indicate an internal flare up. The nose is closely related to your circulatory system, so if you find yourself breakout out there, it might indicate a blood pressure issue. Up the amounts of essential fatty acids in your diet (avocado, flax, olive oil), and avoid alcohol, coffee and spicy foods. Your lower lip can provide key insights into the functioning of your intestines. Browns spots can mean you may be suffering from indigestion and poor enzyme function, as well as a possibility of parasites or worms in the lower intestine. Pale lips are often the first sign of anemic onset, so increase your intake of leafy greens and other iron-rich foods. If you’re noticing a distinct bluish tinge on your lips, it may indicate poor oxygen absorption — possibly even a heart condition — and if you’re experiencing breathlessness that goes with it, you definitely want to follow up with your doctor. Finally, discoloration on the lower lip could indicate a possible disorder in the intestines, while discolorations on the edges of your lips may indicate a kidney issue. Your tongue is the first place many internal disorders will show up, so you’ll want to inspect it every day (preferably in the mornings). Circular white residue in the middle or the back of the tongue indicates a build up of toxins in the intestines or colon, meaning it might be time for a detox. Frothiness or abrasions at the edges of your tongue indicate a possible issue with the lungs, meaning aerobic exercise and meditation are especially important for you. If you find the outer edge of your tongue looking ridged or uneven, that would indicate poor absorption of nutrients into your blood stream. This could be happening because you’re eating too many processed foods, and sometimes even due to the overuse of vitamins (counterintuitive, I know!). Focus on clean, whole foods high in vitamins, iron and folic acids. Your chin is most likely where hormonal imbalances and stress will make themselves known, which means you’re more likely to break out there around your menstrual cycle. Reducing stress as much as possible, getting adequate sleep and exercising will help heal blemishes around this Kapha dosha-ruled area. Vitamin C is essential for building collagen – a connective tissue in our bodies, which in turn supports hair strength and growth. A deficiency in vitamin C can lead to breakage, dry hair and increased split ends, aim for at least 100mg daily and make an effort to include plenty of citrus fruits, peppers, kiwis and kale in your diet. Brimming with biotin – or vitamin B7 –avocados, eggs, almonds and oats provide key nutrients for preventing hair loss and a healthy scalp. A deficiency in biotin can lead to a dry scalp, dandruff and dull, brittle hair, so stock up on these foods for long, luscious locks. While biotin can be found in many beauty and hair-growth supplements, it’s best to include wholefood sources for optimal results. Hair itself is primarily made up of keratin – a protein which gives hair its strength and elasticity. Without enough protein, the texture of your hair can change, resulting in tresses that are dry, thin and brittle. Sound familiar? Make sure that at least 25% of your daily calories are from protein and opt for organic sources such as Greek yoghurt, lean meat, fish, eggs and peanut butter. While the negative effects of stress on the skin are well documented, stress and anxiety can also take its toll on hair, leading to thin strands that are prone to breakage. The solution? Stock up on chamomile tea and vanilla, which have been proven to reduce stress levels and leave mind and body calmer. And, since stress and inflammation are closely connected, be sure to incorporate dark chocolate into the diet for boosted benefits. Omega-3 fatty acids are important fats our body cannot make itself and therefore must be obtained through diet. Omega-3s are found in the cells that line the scalp and also provide the oils that keep the scalp and hair glossy and hydrated. Look out for oily fish such as salmon, tuna and mackerel as well as plant sources like walnuts and pumpkin seeds. Since iron is responsible for transporting oxygen and nutrients around the body, not getting enough means your hair might not receive the vital nutrition it needs. The result? It can become dry and brittle. For softer, bouncier locks, make an effort to include red meat, chicken and fish in your diet; vegetarians can raise their intake by including lentils, spinach and other leafy green vegetables such as broccoli, kale and salad greens. Just to add, a daily scalp massage and reflexology on your head and temple pressure points, will increase hair growth, strength and shine, by increasing fresh red blood cells to the area and increase circulation.. 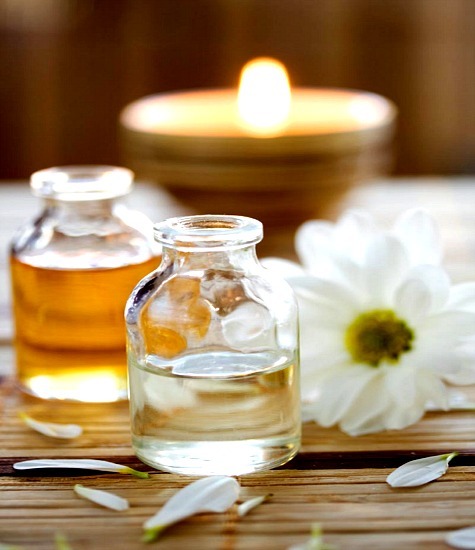 In Houston visit our Beauty & Wellness Serenity Galleria Spa for teen spa treatment sessions… relaxing massages, mani-pedi reflexology and rejuvenating cleansing facials. 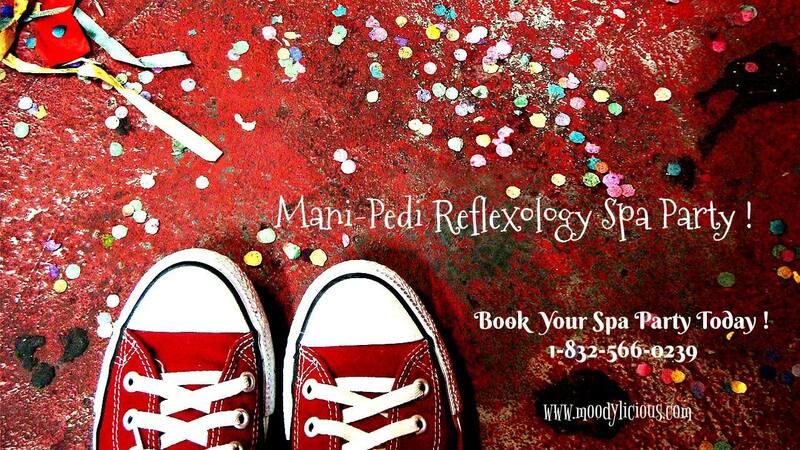 Enjoy our Mani-Pedi Reflexology Spa Parties in Houston and surrounding areas..for all ages 5-100 ! You may be asking What is Reflexology ?…let me explain…. 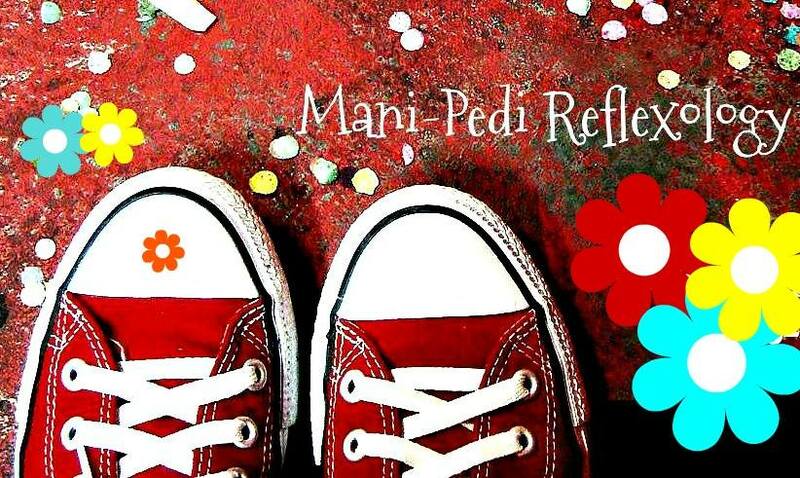 Reflexology is particularly helpful in kids and teens development, it’s gentle and non-invasive, as only the “pressure points” on the hands and feet are stimulated…. gentle acupressure points on the shoulders, neck and head are added for extra tension relief. Reflexology aims to stimulate precise pressure points on the hands and feet to help trigger the body internal..organs, muscles and joints…to energize or detoxify. Helps balance the organs and body systems and emotional and psychic energy. #Hyperactive #children become calm, promotes relaxation, decrease stress levels ..
#Autistic children respond positively to having their hands & feet flex points lightly touched, to even though they may not be willing to be hugged, or other forms of contact are not acceptable for these children. Reflexology (either hand or foot) is acceptable with most Autistic children. A certified reflexologist will work on different reflex zones per week.. discussing therapy plans and pacific targeted ailments for their body and emotional stresses. We want to care for the inside of our guest along with their outside appearance …for safe non-toxic spa products, we use our “Lollipop Vegan Nail Paint” .. and Moodylicious Children Spa Products . All parties include complementary “Candy Jewelry Bar”, “Hair Style Bar” and Make Up Bar !.. Kara's Party Idea Book on Amazon ! 12 Ways To Love Yourself ! 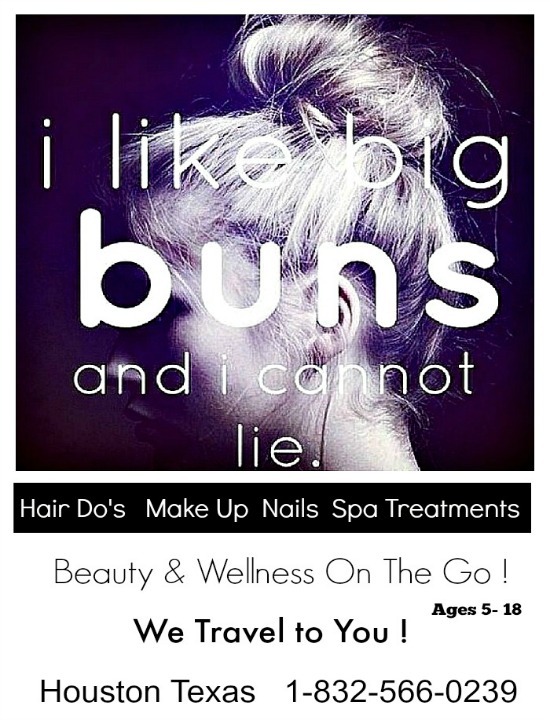 Beauty and Wellness On the Go in Houston is a full service traveling beauty parlor for kids, teens and adults in the Houston area. Enjoy hourly services for beauty… paraben free and vegan facials, mani-pedi spa treatments, hair styling, make up applications, Candy (body) Wrappers … along with reflexology facials, acupressure therapy and mani-pedi reflexology. We use Moodylicious Ageless Skincare and Cosmetic paraben free, vegan, gluten free , cruelty free Made In America Candy Scented Herbal Spa Products.. No where in Houston has there been a beauty service like this for kids and teens..give them an hour of Fun Relaxation…improves emotional and mental calmness… Call us today 1-832-566-0239 for a 20% discount on your first and not your last service ! Santa's Coming to Town ~ Lavenderave Nightgown Giveaway ! We have a lot more to offer our Moodylicious Children Spa customers, other then just “Spa Parties”… we have come back after a few months of being missing in action from the blog world, with a boat load of skincare research and designer product packaging for our New Moodylicious Ageless Skincare & Cosmetics. Why “Ageless” ? ……. Moodylicious Children Spa Products has created a collection of “Baby Bella Organic Essence Spa Products”…. which includes a line of vegan and paraben free spa products . We have “Wicked Chocolate Face Frosting” for children and “Teenylicious Skincare & Cosmetics” for teens…last but not least our latest collection “Moodylicious Ageless Skincare & Cosmetics” for the mature child in all of us. All of our vegan and paraben free skin care products are available for private labeling. What does that mean for you ? Well if you own a spa or salon, here is your chance to take your beautiful logo and market it on vegan and paraben free skin care , hair care , cosmetics and nail polishes for your clients to use away from your place. Just think about the amount of customers that will return, along with friends and families who will become your new customers. Here are some other great marketing ideas we have for you… … create a “Point of Purchase Website”….don’t worry, your not going to spend a fortune . We love www.wix.com , there you will find free templates, a template is like a ( “building” for your website) . You can also purchase your domain name (this is your “address”for your building).. keep your domain name simple and to the point for your business concept. I personally love wix.com because you won’t need a web designer, everything is easy to add on . ..plus you can call a Wix sales person anytime if you need help with your web design. So now that you have a website……..a place for all your new customers to come and check on your latest products, just remember to add a “blog”…….a blog is what your reading right now……here you can talk to your customers about anything your hearts desire…but mostly your products and business. We will add your website address to every spa products label we design for you as a private label client. Your new customers that purchase your products will then go to your website to see more products and information about your company. Where do you find those new customers ? 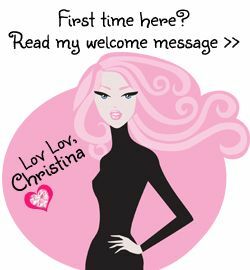 Start looking at your local stores, hair salons and boutiques. Visit them, introduce yourself and your spa products, leave samples and an information package ( we can create postcards for you too) regarding your wholesale pricing and placing you spa product in their location for resale. Remember the more you buy from us at our wholesale pricing, the lower wholesale price you can offer your salon customers. 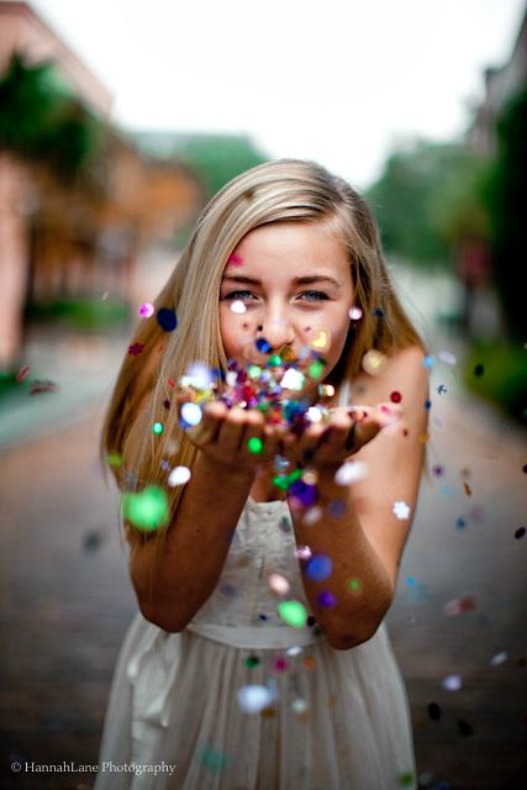 We have some fun add on’s for your salon and birthday parties…. our interactive “Mini Spa Stations” …..these will delight all your friends and customers. Our true mission is to have safe clean spa products for kids and the child in all of us…along with the chance to allow you to create a skin care and cosmetic business of your own. Have a “Be-You-tiful” Day ! There are very few beauty products that we can honestly say are cure-alls, but coconut oil comes pretty close. You can use it for everything from healing scars to moisturizing dry knees. Recently, all the talk about relying on this oil for fresh breath got us thinking: What can’t coconut oil do? The answer: mattify (and it took us a minute to come up with that one). Celebrities like Emma Stone count it among their favorite natural ingredients, and you should, too. We just stuck to the beauty applications here, but there are tons more tasks it can handle, from starting fires to losing a few pounds. So head to your local health-food store, pick up a jar, and allow this list to help you get creative with coconuts. What does coconut oil do ? 1. Makeup Remover. Even the most resistant waterproof mascara doesn’t stand a chance against coconut oil. Apply it directly to the face as an oil cleanser, or let it sit on your skin with a cotton pad. Makeup will melt away. 2. Breath Freshener. Coconut oil has antifungal and antibacterial properties. Gargling for 20 minutes with a spoonful of oil (a.k.a. oil pulling) can help clear up germs in the mouth, leading to fresher breath, whiter teeth, and healthier gums. 3. Lice Remedy. Start this all-natural lice treatment with a rinse of apple cider vinegar. Once the vinegar has dried, apply coconut oil to the entire head and let it sit for 12 to 24 hours. Brush through hair with a fine comb, then shampoo. 4. Body Lotion. If you’re a DIY mixologist, then coconut oil is a vanity essential. You can use this versatile oil as the base to make your own body moisturizer. 5. Cuticle Oil. Got cracked cuticles? Remedy peeling skin with a coconut oil balm right at the base of nails. It can also help your manicure last longer. 6. Makeup-Brush Cleaner. Cleaning your makeup brushes should be a monthly ritual. You can use a DIY cleanser that’s two parts antibacterial soap and one part coconut oil. 7. Lip Balm. Coconut oil is the ideal remedy for chapped lips especially because it’s semisolid at room temperature. Pack a bit in a miniature jar and smooth over lips throughout the day. 8. Stretch-Mark Cream. Expectant moms should keep a jar of coconut oil nearby to help ward off stretch marks, but anyone can use this as a topical treatment for scars. While the oil won’t fade any marks, it can help prevent dark spots and blisters from forming. 9. Undereye Cream.Don’t want to spend the extra money on eye cream? Use a dab of coconut oil on undereye bags and fine lines. It’s light enough for the most delicate skin on your face. 10. Body Scrub. Mix half a cup of coconut oil with a handful of coarse salt or sugar to create an exfoliator. The moisturizing oil will last long after the grains have melted away. 11. Frizz Tamer. Flyaways begone with this smoothing treatment. Just rub a dime-size amount in your hands and smooth from midshaft to ends for frizz-free style that’s high on shine. 12. Massage Oil. Warm coconut oil in the microwave and add a few drops of an essential oil, like lavender or peppermint, for a soothing massage mix. 13. Whitening Toothpaste. Run out of toothpaste? Grab the closest jar of coconut oil and add baking soda for a quick fix. Everyone will wonder how you got such a white smile. 14. Shaving Cream. Who said shaving cream has to lather? Use this balm as a base to get a closer shave that leaves legs smooth instead of dried out. You can also use it alone or with other ingredients in this DIY shave-cream recipe. 15. Dandruff Treatment. Dandruff and dry scalp go hand in hand. So send moisture right to the roots with a nightly coconut oil treatment. Just apply lightly to roots and massage in, which will also stimulate hair growth. 16. Body Oil. Why purchase a separate body oil when you can keep coconut oil near the bath? Just slather it on wet skin after the shower, then pat dry. You’ll smell like a beach vacation all day. Plus, it has a natural SPF 4. 17. Itch Relief. Burns, bug bites, and bruises can all be soothed with a topical balm of coconut oil. 18. Deep Conditioner. You can use hot coconut oil as a preshampoo treatment to soothe dry hair before you shampoo and condition. Leave in for at least an hour for an allover moisturizing treatment. 19. Night Cream. Apply coconut oil at night for maximum moisturizing benefits. The antioxidants are great for smoothing fine lines and wrinkles while you sleep. 20. Leave-in Conditioner. Hydrate dry hair by using coconut oil as a leave-in conditioner. Apply a small amount to wet strands to seal in moisture. 21. Deodorant. Yes, you can make your own natural deodorant at home (and it works). Mix coconut oil with arrowroot powder, cornstarch, baking soda, and a scented oil for a DIY odor fix. These days, face oils are all the rage, leading countless people to ask me how oils can possibly be good for the face. We have learned, incorrectly, that all oil is bad for our skin and will clog pores. In fact, it’s toxic oils and creams that are bad for skin. Oils that are rancid or synthetic do not hydrate our skin properly. Another problem is that many moisturizers on the market contain both water and alcohol, two of the most drying ingredients. While our skin may feel moisturized right after we use them, in the long run, they actually dry it out and create oil imbalance and inflammation. If we use a cleanser or moisturizer that strips our natural oils, our skin begins to overproduce. This creates a cycle that can include overly oily skin, acne and other issues. Organic, cold-pressed oils like sesame, olive, jojoba and coconut are actually incredibly good for the skin. They are even helpful for acne-prone skin, as they help control eruptions and neutralize toxins that develop both on the surface and inside the pores. 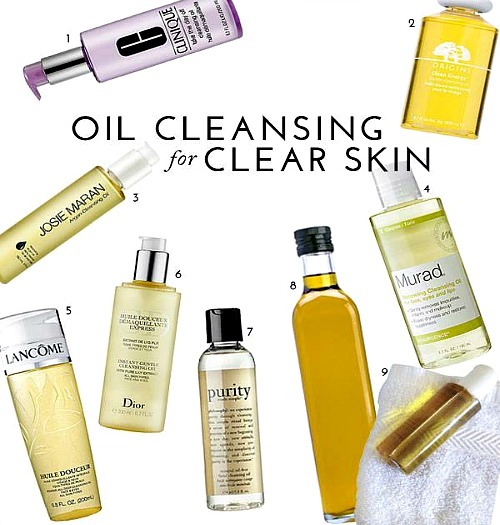 In fact, it is becoming quite popular to cleanse the skin with oils, using them to wash the face. These compounds really nourish us. Virgin Coconut Oil is a favorite of mine that is growing in popularity. It is a protective and hydrating oil that can limit the damage caused by excessive sun exposure (making it ideal as an after-sun treatment). As a rich source of revitalizing minerals and nutrients, it nourishes thirsty skin. It contains Medium Chain Triglycerides, which are fatty acids whose esters absorb quickly, helping transport nutrients directly to cells. Acting as an emollient, it has a softening and soothing effect too. After virgin coconut oil is applied, small wounds—caused by acne or pimples—can soften and heal more quickly thanks to this and its antibacterial and anti-fungal properties. Actually, almost 50 percent of the fatty acid in coconut oil is Lauric Acid, which can kill harmful pathogens like bacteria, viruses and fungi. It is also high in naturally occurring vitamin E, which lends additional antioxidants and scar reducing benefits. Many see it as a cure-all solution for most skin issues. Oils, like virgin coconut oil, are literally food for our skin……. Here are some suggestions for controlling and soothing eczema with natural remedies. Natural eczema remedies often work well to soothe eczema’s dryness, itching, and rash. The cooler temperatures and drier air in fall and winter can do a number on your skin — especially if you have eczema. While cortisone creams are a popular treatment option, there are some natural alternatives that can soothe your symptoms, too. “Because more people are conscientious about not putting anything on their skin that they wouldn’t ingest orally, and the fact that cortisone creams carry a side effect profile including thinning of the skin, natural treatments for eczema are becoming highly sought after,” explains Benjamin Snider, ND, a naturopathic doctor and co-founder of the Serona Centre for Integrative Medicine in Ontario, Canada. Here are five natural ingredients that can help ease the painful rashes, severe itchiness, and scaly, red patches that come along with eczema. Go for an “Oatmeal” soak. Colloidal Oatmeal is a very finely ground oatmeal powder that can be added to lukewarm bath water to soothe eczema. In fact, studies examining the effectiveness of products containing colloidal oatmeal have found that it considerably improves itchiness and dry skin. That’s because colloidal oatmeal particles help keep irritants out and moisture in, by creating a barrier. “This helps reduce itching, preventing further damage to the skin,” , If you can’t find Colloidal Oatmeal, try regular breakfast oatmeal . Creams and oils made from certain herbs can be gentle eczema treatments. “Calendula officinalis [marigold] has long been used as a topical treatment for eczema,” adding that studies show it leaves skin significantly hydrated. Licorice extract has also been found to be effective in treating eczema and can help soothe itching. Additionally, chamomile essential oil can ease itching, pain, swelling, and inflammation and help ward off germs when applied to the skin. Coconut oil, readily available at many grocery stores, can do everything from taming frizz to moisturizing dry skin to calming eczema. “Coconut oil contains an antimicrobial compound called lauric acid, which will help to heal the skin lesions by clearing the bacterial component,” says Snider. When picking up a bottle, look for extra virgin coconut oil and check the label to make sure that no fragrances, flavors, or coloring have been added. Eczema is often aggravated by bacteria called Staphylococcus Aureus, says Snider, and that can slow down the skin’s healing process. Aloe vera, a plant with a gel-like substance inside its spikes, offers antimicrobial properties and can help heal skin when applied topically to manage eczema. Snider recommends applying the gel twice a day to soothe a flare-up.